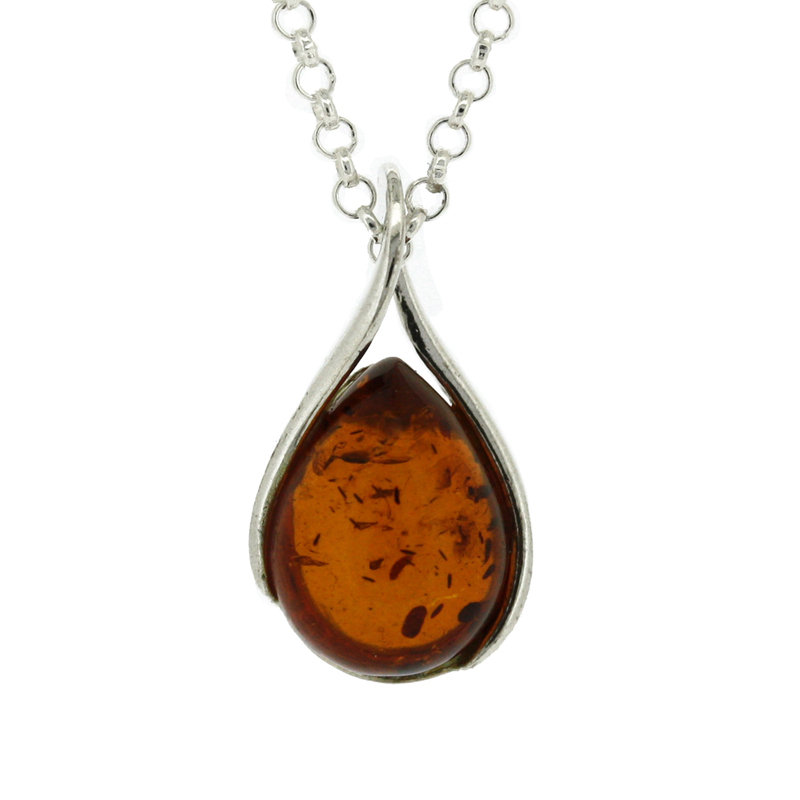 A pendant featuring the much loved teardrop design with a twist, incorperating the bale within the design, available in vaiours amber colours. The pendant measures width 10mm, height including bale 20mm and depth 7mm. All measurements are approximate and measured at widest/longest points. This pendant is crafted in Sterling Silver. Please note that all amber is natural and therefore may vary. If you would like a particular colour please let us know and we will do our very best.